The time has come to begin our trek back to California. We’ll be going even further South than when we drove here, which makes for new and exciting adventures. And who’s not up for new and exciting adventures. Starting with something that goes ding-ding. 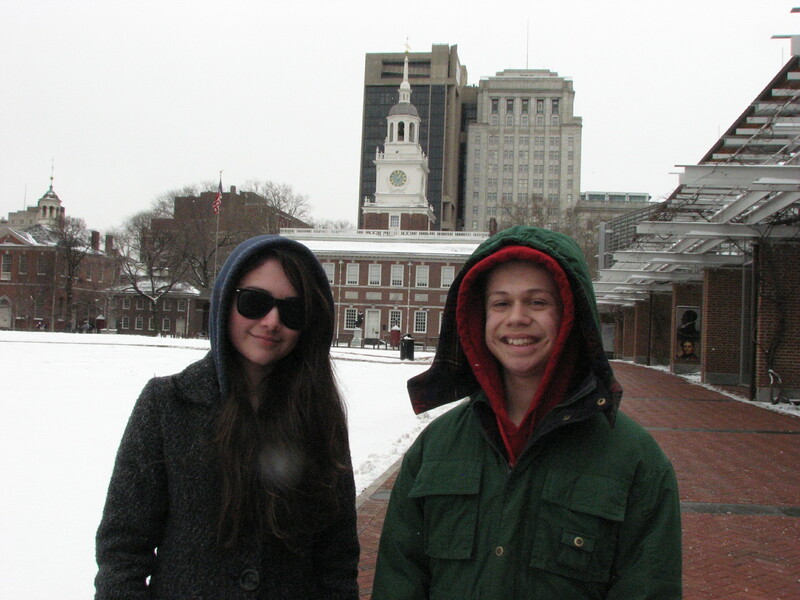 The Liberty Bell means many things to different people. 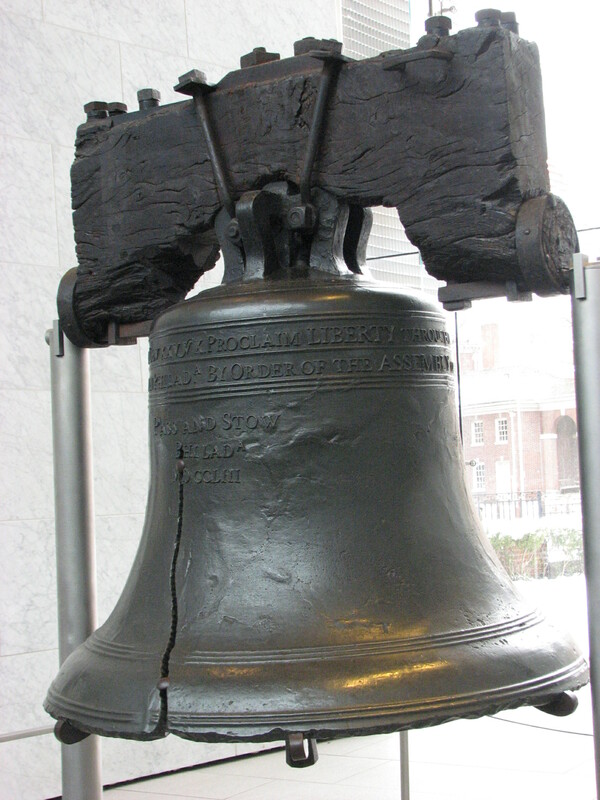 Abolitionists adopted the bell as a symbol of their cause. It reminds Americans of the earlier days when they fought for independence. And to today, the words, “Proclaim LIBERTY throughout all the Land unto all the inhabitants thereof” from Leviticus 25:10 can clearly be read, despite the famous crack, to remind everyone what happened in the past and the hope that now resigns for our future. The story of the infamous crack was my favorite, since no one really knows what in the world went wrong. Two characters attempted (a few times) to redo and ultimately fix the whole thing – but maybe they cut some corners? I don’t know. 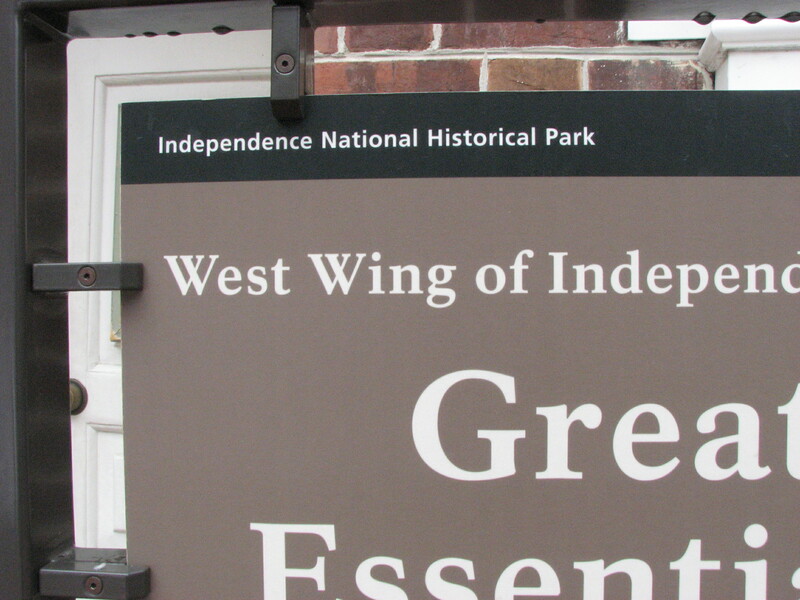 Poor George Washington was left with a ding-less birthday party the day it split down the side. It was cold, though. Snow on the ground, cold. We walked the square until we were numb in the face and our toes, when a kind ranger gently told us why don’t we go in the west wing to stay warm and look at documents until our tour was scheduled to begin. 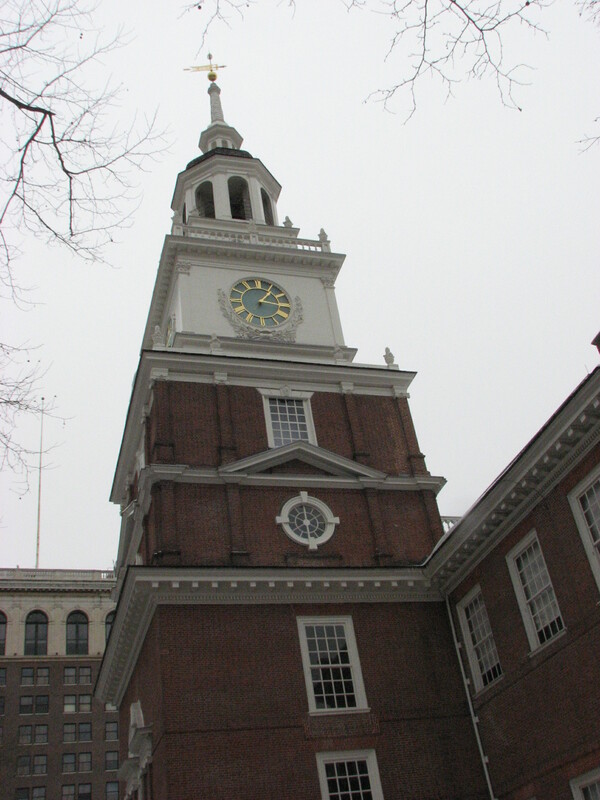 We eventually toured Independence Hall, seeing the old courtroom, a ball room, the militia room, and the room the Declaration Of Independence was signed. My attention was tweaked at the architecture. It was called George-something style. Everything in that style had to be balanced – same as in justice, moderation, diets, etc. 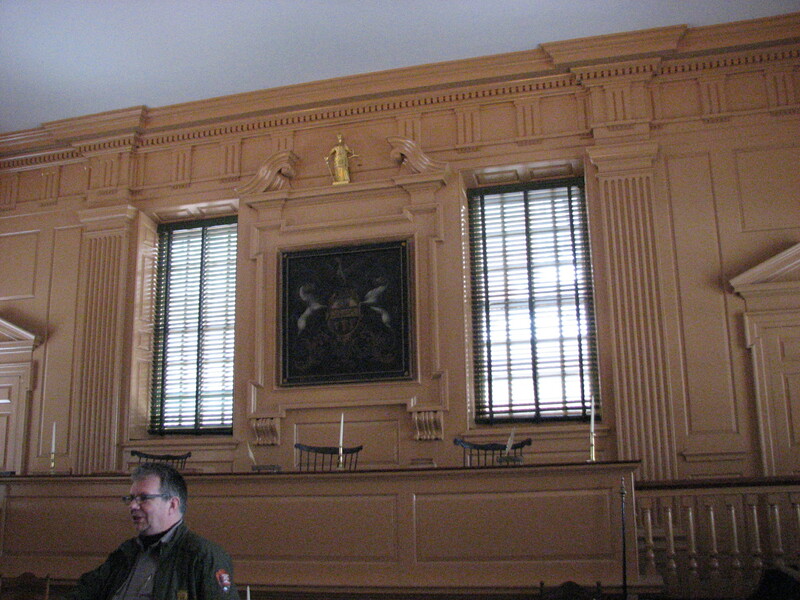 To such a point that in the court room to the right of the judge’s stand, there was a fake door. It’s sole purpose was to make the whole back wall “balanced,” because there was a real door to the LEFT of the judge’s stand that led to the courtyard outside. The tour guide was very informative. He knew his stuff, even though all the dates went straight over my head. I’m a good nodder, though. This was the last picture I took in the building. You can get very theological with a picture of a door with a key in it. What door in your life already has a key in it? 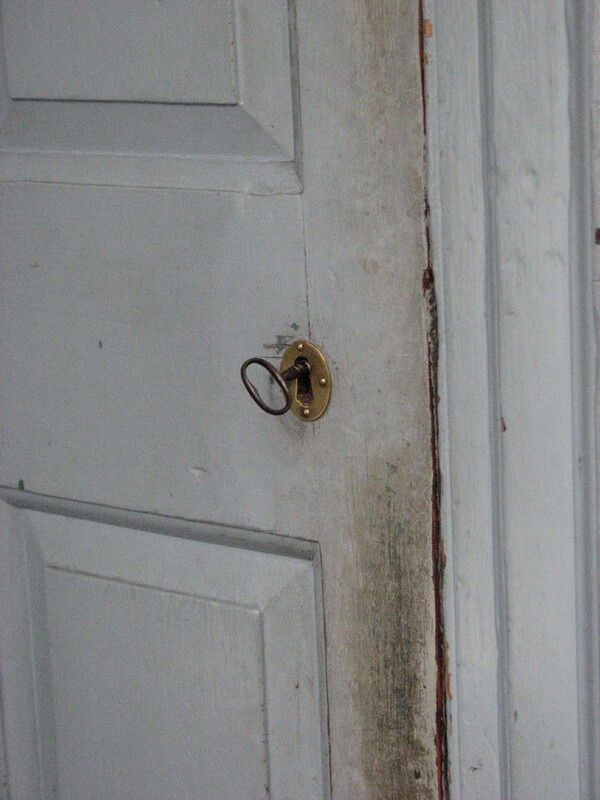 Just waiting for you to take that step, unlock it, and walk in? It was freezing, but everything looked so pretty. 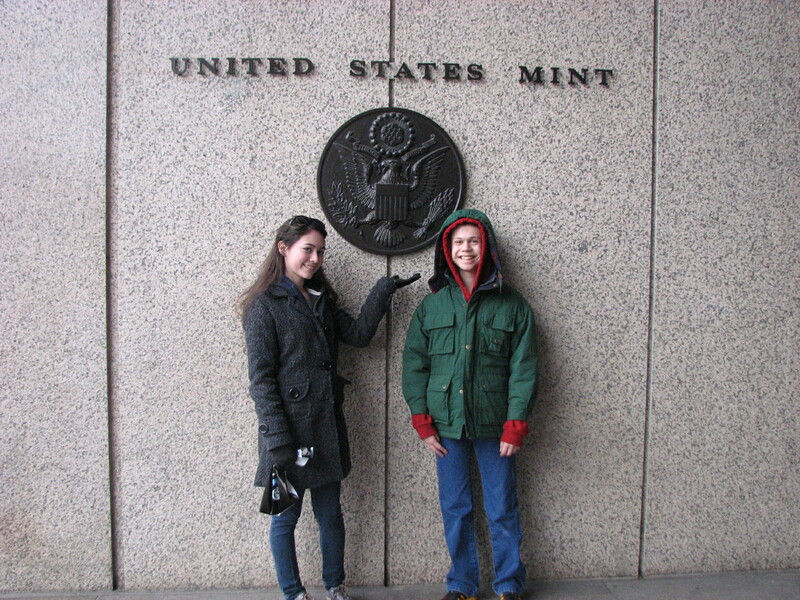 We then walked about twenty five minutes in the slush to the Philadelphia Mint to stare at and touch shiny coins. Photography isn’t allowed. But drop by if you ever get the chance, I never knew so much went into making a coin. And I used to be/am a coin collector. There’s cutting. Drawing, molding, imprinting, shining. They even wash the coins. Like everything, the end of the self-tour went right to the gift shop, but we actually got something this time. I guess my coin interest still holds strong. 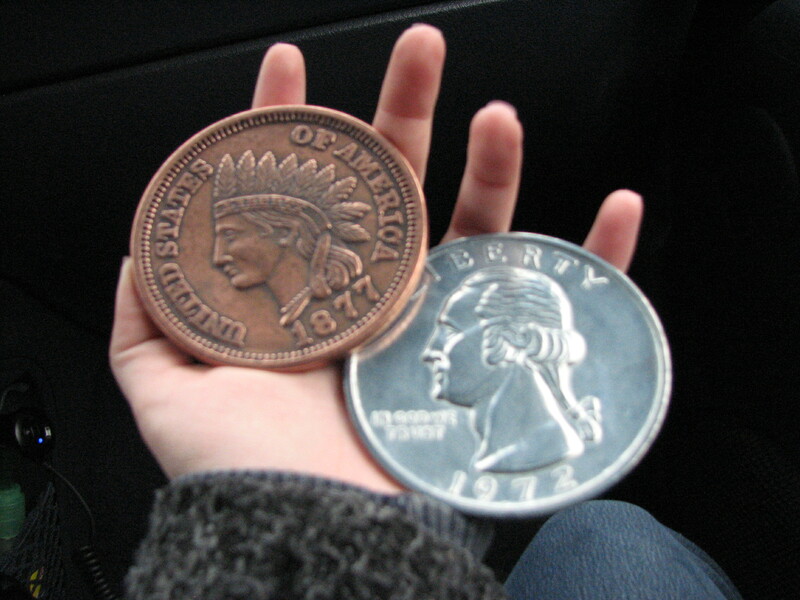 The Indian Head penny is mine. Love it! Before I end this post, I forgot. The hotel we stayed at in New York was the Andria Hotel in Queens. The rooms were small, but the service was great. The receptionists were super nice to us, and everyone wanted to know how our tours went and if we ever got a chance to thrift shop. So it wasn’t so bad.